Nargroths Cave | Some words on old and upcomming games. Some words on old and upcomming games. Hey there! Thanks for dropping by Nargroths Cave! Take a look around and grab the RSS feed to stay updated. See you around! Planetside 2 is finally arriving. For years we, the players in the original game, all speculated whether or not they would make a sequel to the very impressive original. Our patience seems to have been worth it as the game presented at the E3 2012 has been nothing short of awesome. 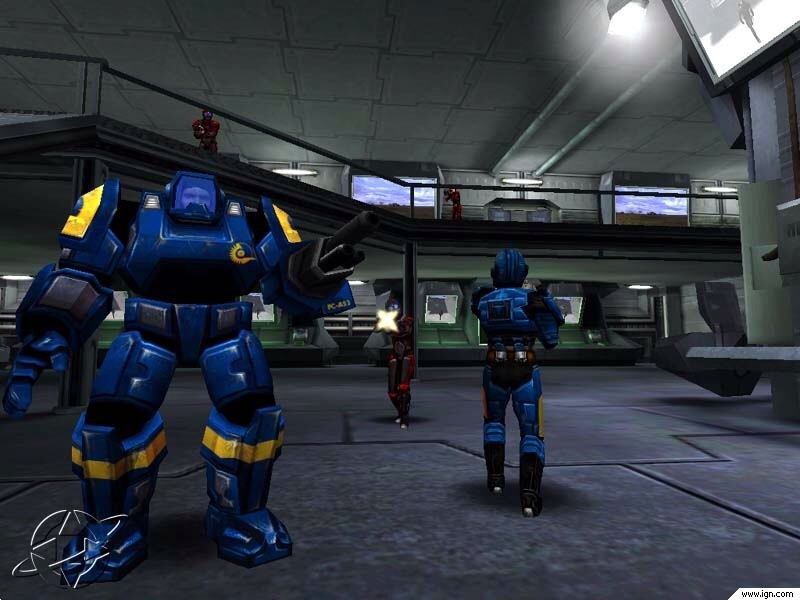 As you can see by the picture on the right, yours truly is keeping his allegiance to the most awesome army of fighting men and women in the game, the Terran Republic (TR). So to all you smurfs (NC) and fishheads (VS), this will be a somewhat biased blog! I’ll try my best to stay objective though as long as it’s not something negative about the TR. What I want to focus on is the expectations when it comes to Planetside 2. How will it be compared to the original, and will retain the same gameplay that made us enjoy Planetside for so many years? Quite a few of these questions will be open for discussion, and some answers might be found through various interviews after the E3. Persistant world. There are no rounds, tickets or timers. A base you captured belongs to your empire until someone else takes it from you. It can be minutes and hours before you lose it, or it can be days and weeks. Three empires. By having three empires in the same fight the battles will constantly be shifting. No empire will end up being pushed into a corner and “camped”. Typically in PvP, whether it is MMO or FPS games, you only have two sides and very frequently the losing side ends up being pushed back into base or respawn and then camped/farmed which is very frustrating, often leading to people simply logging off. With three empires in the fight, the winning empire will have to fight on two fronts, thus negating any advantage they have in superior number of players. This makes the battles alot more dynamic and removes many of the problems concerning one side simply zerging over the enemy. No player cap. The battles in Planetside are not 32 vs 32, or 16 vs 16, like the typical FPS games we know. In the original there was a population lock on continents, however that lock didn’t take effect until there were hundreds of players on the continent. The battles are massive in true meaning of the word. Seeing 15 enemy tanks, 40-50 infantry, a dozen enemy aircraft and bombers as well as assorted light vehicles and MAX units at the same time during a battle was not uncommon. The sheer amount of players, in addition to the variety in terms of infantry, tanks, aircraft, support vehicles, snipers, cloakers, minefields and so on makes Planetside a game that looks and feels like a real war. No round based, 32 vs 32 game will give that feeling. At least not for me, and I played many FPS games. An authoritarian government that leverages military might to maintain strict control over the colonial citizens. The Terran Republic is obsessed with the preservation of law and order and are thus seen by some to be an oppressive and dictatorial force, but many view the TR as the only hope for lasting security on Auraxis. The New Conglomerate operates as a loosely organized band of dissidents, vehemently opposed to the stranglehold that the Terran Republic has on Auraxis. Led by an unusual quorum of outcasts, industry titans, pirates and former military leaders, the New Conglomerate is unwavering and prepared to achieve their goals by any means necessary. Vanu has taught that only through technology can humanity evolve its next state of existence. The Vanu Sovereignty is extremely advanced, employing powerful alien technology on the battlefield. Their singular purpose is to uncover the secrets hidden away in ancient artifacts scattered over the surface of Auraxis and they will annihilate anyone who interferes. So what do we expect from the new Planetside? We already know the three empires from the original are all making their reappearance in the new game. Furthermore we also know they will all keep the colors of their empire from the original; TR being awesome in black and red, while the NC and VS will have their smurf blue and barney purple, respectively. But appearances aside, each empire will also rely on the same weapon systems they did in the original. Put simple, the TR will employ fast firing weapons, the NC will have slower, but more damaging weapons and the VS will be inbetween the TR and NC on rate of fire and damage, but they will have energy based beam weapons just like the original. In addition the VS will have hover vehicles as before as opposed to the wheel or belt based traction that TR and NC uses. One of the new additions for vehicles in Planetside 2 is cockpits based on the empire. What that means is that the TR will have red crosshairs and instruments, while the NC will have yellow/blue and the VS has purple/greenish. I find that to be quite nice, and it makes you more attached to your empire. If it ain’t red and black, shoot it! Another addition to the vehicles, as well as weapons and armour, is camoflague patterns. From different videos I have seen everything from desert and jungle camo’s to giraffe and zebra patterns. Most of these patterns will have to be unlocked. Whether that will be from a microtransaction system or unlocks via achievements remains to find out. Perhaps a combination of both. How do you feel about these custom patterns? Nice to have variety? Is zebra stripes too much? Post a comment below. Will we see the possibility of using these tactics in the new game? So far we have not heard if there are generators in the bases, but the use of NTU for a base to remain operational has been removed and lattice links are as well. Thus alot of the tactics from the old game seem to fade away as a consequence. So what type of tactics can we expect in the new game? The new game has a different system in regards to resources and how your empire can afford purchasing the more advanced vehicle types such as reavers, liberators and other vehicles that required a tech plant in the old game. Now the game has tiles, and each tile on the map provides resources of various types. Thus you have to control those in order for your empire to gain the upper hand in vehicle and weapon strength (or to avoid being at a disadvantage). Furthermore, the more tiles your empire controls surrounding bases and facilities the faster your empire can hack/capture the bases and facilities. In effect this means the battles are waged over several map tiles rather than just the towers and bases as per the old Planetside. Is this a good change, or did the tactics from the old game offer more interesting variety in gameplay? 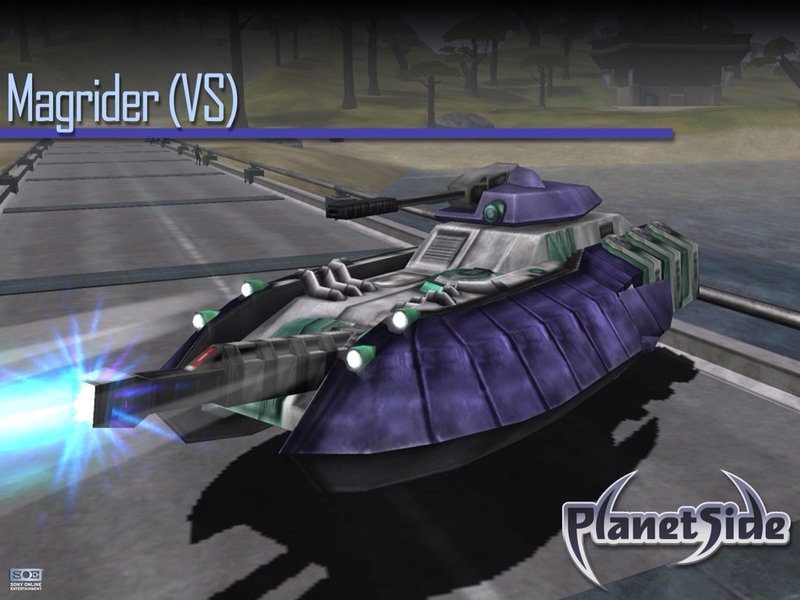 In the new Planetside it seems they are still going with the battlerank system as seen in the original. This means leveling up in battleranks by gaining experience from killing enemies as well as capturing bases. I’ll admit the latter case, experience for base capture, is a bit of an assumption on my end. At least in the original you gained experience for capturing bases depending on how many enemies had been killed, and your time spent, within the base sphere of influence (SOI). Quite honestly I am not sure if bases in the new game will have an SOI like the original. Leveling up, contrary to regular MMO’s, does not increase how much damage you deal nor how much health or mitigation you have. All you get are certification points which can be spent on unlocking other vehicles, aircraft, weapon types or armor. This means, as SOE has said in their videos and trailers, they want a five minute player and a veteran to be on equal footing so everyone has an equal chance of killing eachother. Of course, if that five minute player decided to spend all his or her few cert points on getting a tank, and a veteran player faces that tank while jogging around in a light armor suit… well… it won’t really be equal footing, will it? But that is just how war and bad timing works out! Overall, from what I have seen and read the leveling system seems to be pretty much how it was in the original. But what about command ranks? 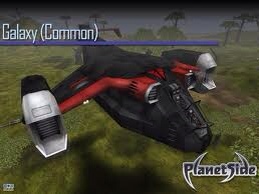 Will we have commanders, orbital strikes and so on in Planetside 2? 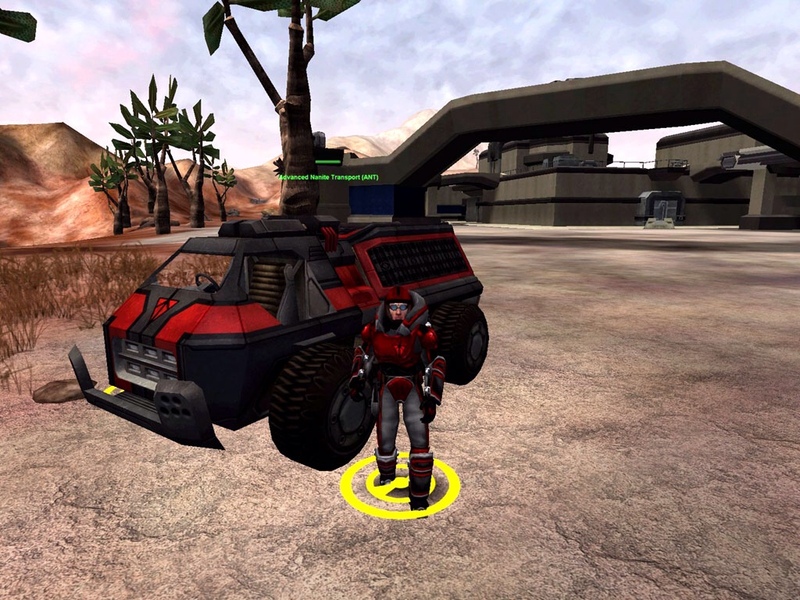 Right away we can see that quite a few vehicles are gone in Planetside 2. The ANT is gone, due to the removal of the base NTU system. The AMS is gone and has been replaced by the Galaxy which now functions as a respawn point as well as being a transport aircraft. Some of the ATV’s are gone, or to be accurate, there is now only one ATV and you customize it to have machineguns, rockets and so on. Also it seems the BFR’s are gone (some old veterans from the original will say good riddance). Even the Lode fails to make an appearance in the new game and from what Matt Higby said in his video with Totalbiscuit at E3, there will not be a transport for vehicles in the game. That means ground forces have to get to their targets by driving all the way, or leaving their vehicles behind to get a ride in a sunderer or galaxy. So far I have not seen any new vehicles being introduced either, only the addition of upgrades and customization. What are your thoughts on so many vehicles being removed? Personally I am very excited for this game. Like alot of others out there I am still hoping to get a beta key soon so I can try the game and the features hands-on. When I do I will of course share my impressions. Considering how much I loved the original though, there are quite a few expectations for this game. I will be expecting varied gameplay and spec ops tactics rather than just zerging into battle. Also I expect the variety of vehicles and weapons to be the same or better than the original. Considering the amount of customization presented so far it seems that will prove to be right. However I am quite concerned how the game will be considering how many vehicles are removed, how lattice links and NTU is gone, whether or not there are generators to attack, the fact that driver of a tank also controls the main cannon (just like Battlefield) and so on. Between all the praises and the showcase videos I fear that veteran players will quickly find this game to be very different from the original. Something as simple as not having the ability to drive an AMS into a good spot within a base means a big difference, and I doubt a whole Galaxy can be hidden or stay alive for long near an enemy base… Especially not considering it has no cloak (yet anyways). Also not uplifting to hear that there will be only 3 continents at release. That seems very little, but on the upside the continents in Planetside 2 seem much bigger, and there are different biomes within a continent so you can fight in both desert and woodland within the same continent. Also, with the vast amount of upgrades and attachements for weapons and such, I think many will get that “CoD copy” feeling, which for many FPS players is not a positive thing. But for others again this is a great addition and way to create a more unique character. But the game is still in beta and I suppose they need to save some treats for expansions down the road. I’ve been waiting a long time for this game, so expectations are high but so is the quality of what they have done so far. Now I just need that beta key already! What are your expectations of the game? How do you think it looks so far? The most devoted fans have likely been waiting for years, playing and enjoying the original of the game still despite it becomming quite aged when compared to newer titles in the rapidly expanding MMO market. Others have merely waited for months, eager for news and hungry for new beta footage and gameplay videos. Others still have yet to hear about this upcomming title which is sure to leave its mark in the MMO genre. Personally I was never a big fan of Guild Wars (the original, that is). Of course, being a bit of a gamer and loving the MMO genre, I had to test out Guild Wars at least once. Even more so since I had heard so much positive feedback about the game, and anyways it was (and still is) free to play so there was no real arguments for me to pit against an increasing peer pressure from online friends. Eventually I caved in and downloaded the game. Once I had it installed I spent about 10 minutes creating a character. Normally I spend alot of time in the character creators in MMOs, but GW had very few choices. I spent more time putting colors together and finding a name for my character than I did “creating” it. Not exactly APB quality customization in that character creator. Anyways, long story short… I entered the game, set up my keybindings, eagerly ran off to get out of the city and explore. Well, I got to the first rock that was directly in my planned path, found myself unable to jump onto it or over it… In fact, I found no way of jumping at all. After that realization I logged out and never played it again. Total time playing Guild Wars, roughly 20 minutes. Now let me just clarify things right away. Firstly, I quite often play on RP servers when I play MMOs so I have no desire to be bunnyjumping all over with my character while playing, nor do I have any kangaroo genes (at least not scientifically proven). But not being able to jump at all was just such an unacceptable limitation that I found myself unable to cope with crashing into every rock and running all the way around huge logs. 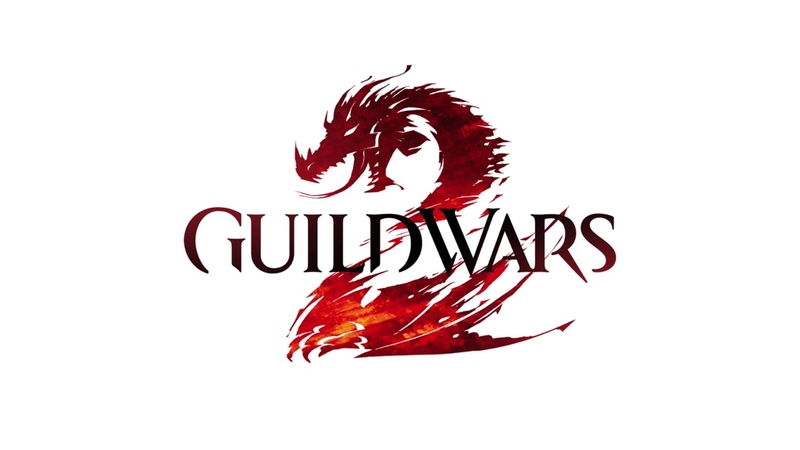 However, with no real experience or background from the original, what makes Guild Wars 2 such an exciting title for me? To sum up a few of the things that makes me look forward to the release. No more competing over loot drops. No more “ninja’ing” resource nodes. Questing has been made very inclusive and easy. Completing, or failing quests have consequences. Brilliant world vs world feature. Very elegant teamwork options e.g. creating a wall of fire so teammates will get flaming arrows when shooting enemies behind it. A huge, handcrafted world that looks nothing short of amazing. Playerbase and community that seems very friendly and mature. Very interesting lore (and yes I read the books they published as well). 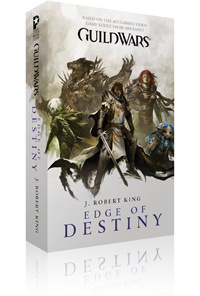 If you haven’t read the books but you want a glimpse at the lore as well as some nice background on the heroes that you will meet in the game, then they are absolutely worth picking up. 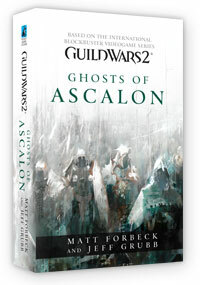 Personally I ordered them straight from the Guild Wars 2 home page, but they are also available from other sites such as Amazon.com in both paperback and eBooks for Kindle. As far as storylines go though there is alot of different turns for your own personal story. There are 5 races, each starting with an initial story which you define at character creation. This storyline then branches into two internal storylines as well. That results in you having 5 x 3 x 2 different storylines, ending up with 30 potential storylines to explore if you want to see all of the game. However, that is only up to level 10 and the game has 80 levels total, where you start a new chapter of your storyline every 10 levels. Certainly enough variation for most of us, and perhaps even for those who love to uncover every story! Luckily they have announced the pre-order date, April 10th, and I will for sure order myself a collectors edition of this game (who wouldn’t want an angry Rytlock figurine on their desk while playing). While no launch date is yet announced we can assume it will be, relatively compared to the years of waiting, soon! Meanwhile we’ll just have to keep enjoying the various beta reviews, footage and youtube videos. Considering Warrior is the class I am most likely to try out first I’ll add this video spotlight from the awesome guys at Yogscast (and check out their other videos as well, they are quite entertaining)!